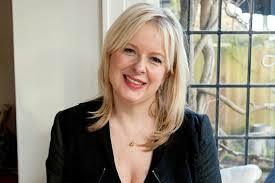 Allison Pearson had a column in The Daily Telegraph last Wednesday under the above title. Ms Pearson is a Welsh author and newspaper columnist. Her novel, I Don’t Know How She Does It, published in 2002, has been made into a movie of the same name starring Sarah Jessica Parker. Her second novel, I Think I Love You, was published in 2010. A sequel to I Don’t Know How She Does It was announced in 2015. The column will amuse all of us who struggle to receive a contract from a first line publisher. “J K Rowling has shared a rejection letter from a publisher for her first adult crime novel, written under the pseudonym of Robert Galbraith. The publisher suggests that The Cuckoo’s Calling could not be published ‘with commercial success’, and adds, for good measure, that the author might be helped by a writing course. “Rowling is to be congratulated for not immediately conjuring a Harry Potter spell, such as Avada Kedavra (Killing Curse) against this dimwit with no literary judgement. As it happens, I am addicted to Rowling/Galbraith’s novels with their wonderful Caliban-meets-Columbo detective, Cormoran Strike. The quality, both of writing and observation, is evident from the first page. “Rejection, alas, is the lot of the new writer. I am currently judging the Lucy Cavendish College Fiction Prize and am reading the entries with tender care – so well do I remember the sting of being rejected myself. “Fourteen years ago, I sent some chapters and a synopsis to a celebrated editor of women’s fiction. I was quietly confident that the story of a stressed-out working mother would strike a chord. The editor emailed back and said that the novel was not for her. Should I seriously wish to become an author, I might like to go away and read a recent novel by one of her writers. Was I familiar with her work? “I was, indeed. Ah, rejection dejection. The slump lasted a while until I was lucky enough to be snapped up by a couple of brilliant women editors at Chatto and Vintage. The book they published, the same one rejected by the first editor, was I Don’t Know How She Does It.